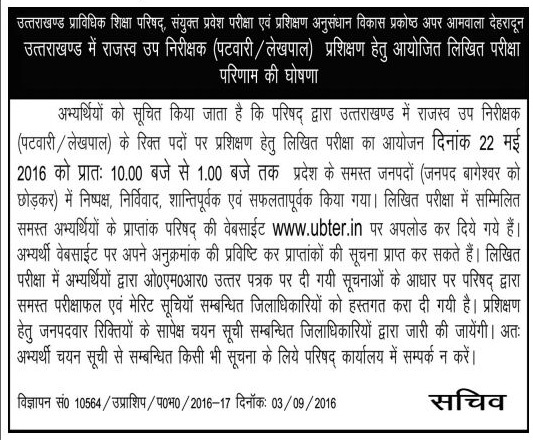 Uttarakhand Board of Technical Education (UBTER) has released Result for Patwari and Lekhpal Recruitment in all districts of Uttarakhand. Total 464 vacancies of Patwari and Lekhpal (Revenue Sub Inspectors) recruitment was started on 5 October to 31 Dec 2015. Exam was successfuly conducted on 22 May 2016 at various centers of Uttarakhand and later the answer key was updated on 2nd June 2016. Uttarakhand Revenue (Rajaswa) Department has released result for Patwari & Lekhpal recruitment in uttarakhand. 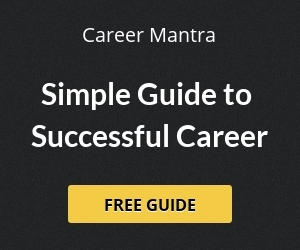 Selected candidates can check their result from the link given below. Help us to improve this article/job posting "Uttarakhand Patwari & Lekhpal Result". We would be glad if you can comment below and provide your valuable suggestions and feedback. If this page have any wrong information/list or out of context content, then you can report us as well. what will be the tentative/real date for lekhpal written exam ? I LIVE OUT OF U.K. AND PER DAY I HAVE TO CHECK about Uttarakhand Patwari & Lekhpal Physical written exam so plz i want to know when will be my written exam date. Kindly Inform the date of written exam of Patwari and lekhpal. sir how to know that i am selected or not. They only show my written marks i.e 94.5. 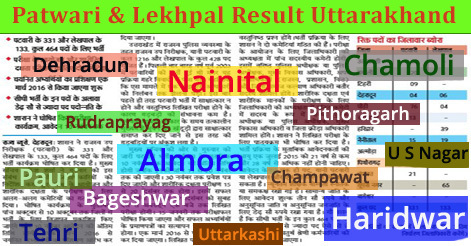 Selected or not with this score in Uttrakhand Lekhpal Exam 2016. Please Reply….